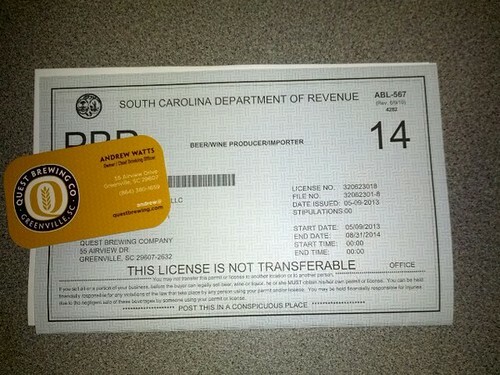 What you have right there is the S.C. Department of Revenue brewing license recently acquired by Greenville’s Quest Brewing Co. It’s like they’re a real brewery or something! This, along with all the other recent developments at the brewery, means they continue to inch closer to opening day. While the grand opening had been penciled in for some time this month, Quest announced Wednesday morning that there’s been a slight change of plans.